Sports games are typically all fun and good times. People go and excitedly cheer on the Marlins or the Lightning to try to push them to victory. However, as fun as sports games usually are, at times someone will slip on a spilled drink in the bleachers or get hit by a stray foul ball that flies into the stands. In these situations, the main question an injured person likely has is: who is at fault? A large percentage of game attendees will order food to munch on while watching the game or, even more frequently, an ice cold drink. The increased number of drinks leads to an increased likelihood of spills resulting in slips at the venue. Even if you slip while in a ballpark, the ballpark is not necessarily automatically liable. The determination of whether a ballpark is liable if you slip on a spilled drink likely hinges on whether the ballpark was negligent. Specifically, a court will look at whether the ballpark knew or should have known of the spill. If the ballpark knew of the spill and failed to do anything to warn game attendees, it is likely that the court will find the ballpark was negligent. On the other hand, if someone spills a drink on the ground and you slip and fall on the spill mere minutes later before anyone at the ballpark was informed, the ballpark likely will not be found negligent. Another injury that may occur at a ballgame arises if the attendee is hit by a stray ball from the field. If this occurs, there are a few considerations a court may take into account. First, a court may look at whether there was a valid disclaimer printed on the back of the attendee’s ticket absolving the ballpark of liability. These disclaimers typically state that attendees assume the risk associated with going to a game including any risk of being hit by balls at the game. Second, even if there is a disclaimer, a ballpark still owes attendees a duty to act reasonably to minimize the risk of injury. Accordingly, if you are injured by a fly ball, you should take note of what precautions the ballpark has taken to protect you. 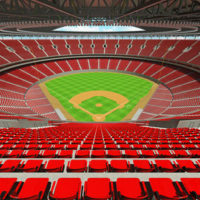 For example, if there is ordinarily netting over where you are sitting to protect that area, but there is a large rip in the netting that the ballpark knew about and did not fix, you likely have a claim against the park for your injury. To help your lawyer build your claim, you should take photos of your surroundings at the time of or shortly after the injury. Under Florida law, you will have four years after the accident to bring your claim if you are injured at a ballpark. You will want to make sure you bring your claim within this time period to ensure it is not dismissed for falling outside the time limit. If you are in an accident at a Florida ballpark or stadium in West Palm Beach, Stuart, or Boca, you should hire an experienced local personal injury lawyer to help evaluate your claim and discuss potential avenues for recovering damages. The skilled personal injury lawyers at Lesser, Lesser, Landy & Smith, PLLC can help you understand your rights to compensation and other damages. Contact us today for a free consultation.